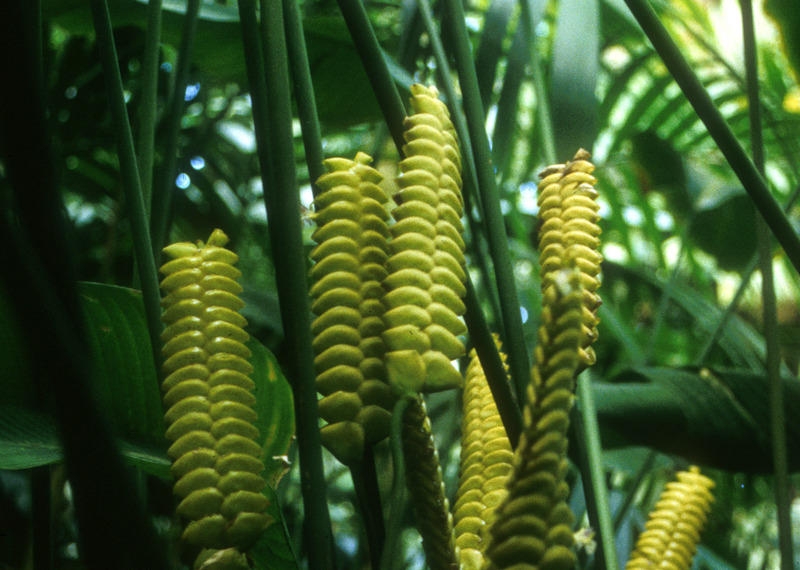 The rattlesnake plant’s flowerlike yellow spike looks a great deal like a rattler’s tail. 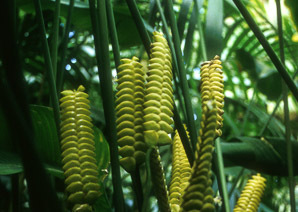 The plants are native to regions between Nicaragua and Ecuador. 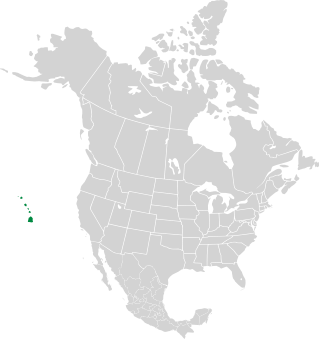 It is naturalized in Hawai‘i now. I see this plant variously called Calathea crotalifera S. Watson, Calathea insignis, and Calathea lancifolia. But these plants differ significantly, and only C. crotalifera has the distinctive yellow rattler flowerheads. Identification: The yellow spike that is this plant’s namesake is a set of bracts (modified leaves)—the true flowers are small and purple, poking out of the sides of the leaves. Calathea crotalifera description by Thomas H. Kent, last updated 12 Oct 2018.